This is the next posting from prior Tips postings. Same idea, just a new set of space to put pointers to things of interest. The most immediately preceding Tips posting is: https://chiefio.wordpress.com/2018/11/03/tips-notices-november-2018/. Recently there’ve been some developments on harvesting ambient heat using Graphene. That is mainstream science, and there’s experimental data showing it works, but they carefully avoid mentioning that this violates 2LoT. Because of this, I put some linked comments in that give a better and more-concise description of the principles needed to violate 2LoT that may be a better explanation than I’ve managed before. It takes some time to get an explanation that is acceptable when what I’m explaining is generally considered to be impossible in theory. https://revolution-green.com/rechargeable-battery-provide-unlimited-energy/#comment-4221704704 has a link to the second comment at https://revolution-green.com/free-energy-by-simon-derricutt/#comment-4221783695 , where the second comment is actually the clearest I think I’ve managed on the subject. I think the reason for the difficulty is a result of failings in the language we normally use, and a confusion as to what is a vector and what is a scalar – heat is actually effectively a vector quantity with a net vector of zero (the momentum is the vector, but the energy is a scalar), and so it is normally treated as a scalar. Maybe this explanation will produce that satori moment for some people. Though the principle is depressingly simple for something that has for so long seemed impossible, the technical problems of actually doing it require a higher technology than I can currently achieve. A friend who does have the necessary technology is however running a test fairly soon, so we may see a commercial device available in a reasonable timespan. Michel Onfray penned an essay on the 8 greivances of the Gilets Jaunes as circulated in the streets of France. 1. We want direct democracy at all levels. We want a government of national unity with a regency of exception to prevent political parties, which are disqualified, from instrumentalizing our distress and anger. 2. We want a 20% cut in all taxes and burdens for the middle class, the working poor and entrepreneurs. To lower these taxes is to raise our wages. We want immediate action to tax what is worth taxing: GAFA and financial transactions. 3. We want France to stop living beyond its means and stop accepting the misery of the world because it is already in misery with its millions of people living below the poverty line. We want a chosen immigration that does not destroy us culturally. We are calling for a withdrawal from the UN immigration pact. 4. 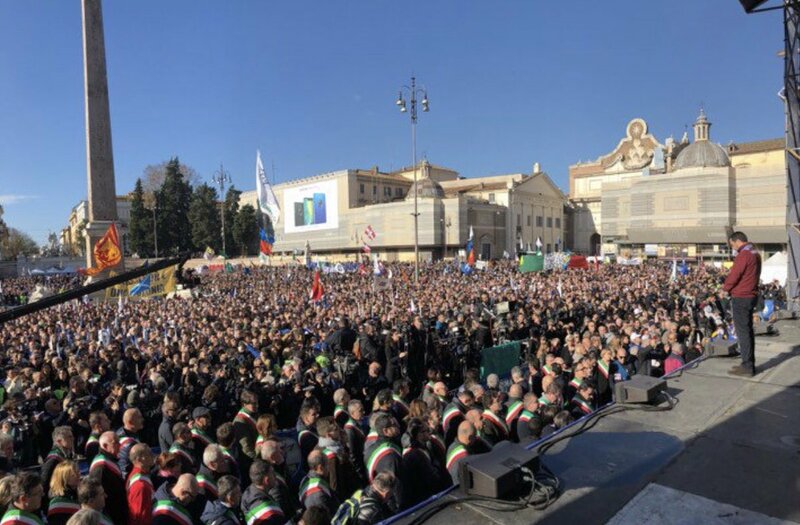 We want a relocation of all decisions in regions, cities and municipalities. The state and its officials in Paris are not qualified to decide the future of our communes. 5. We want an exit from the CAP that corrupts our farmers by allocating its aid only to productivists and poisoners spreading cancer in France. Our taxes should in no way be used to fund Bayer-Monsanto. 6. We want the creation of trade barriers to prevent Germany from selling us products made in Romania under the “Deutsche Qualität” label and thus destroying our jobs. 7. We want the withdrawal of all aid to the press for a real separation of media and political powers. 8. We want immediate action to stop integration in Europe because it is built only on the ruin of small people. things just got a little more complicated for “le petit monarque, le prince de Paris, le président jupitérien” aka president Macron. Below is a published Open Letter to president Mocron, signed by 13 retired Generals and Admirals and one former minister of defense asking him (warning him, really) to refrain from signing the UN pact of Marrakech on immigration. Given to tone of the letter, I believe this a little veiled message from the active military brass. Original links to text and translation below. We therefore ask you to defer the signing of this pact and call by referendum the French to vote on this document. You are accountable to the French of your actions. Your election is not a blank check. Yep that looks like a warning shot across the bow to me too! Clearly the anarchists are also beginning to piggy back on the chaos. It is now transitioning into a general uprising as the protests are all throughout the country. We are also seeing clear signs that Russia is interested in increasing the conflict in Europe by posting misleading translations in RT that will only serve to irritate the Arab immigrant populations. Ugh. Direct democracy is, in the end, mob rule. Why do the French not see what our founders saw 240 years ago? Why they wanted force, aka government, split? Why they knew that individuals create society, so that the needs of the one, few or many can’t outweigh any of the others? Why a republic needs moral people and knew that the standard of morality has to be external to humans as individuals as well as societies? Looking more like “Marie Antoinette” Macron? I’m getting that shutter ad again on your site. Tim Ball, already a Golden Oldy but absolutely one for keeps, so add it to your collection. And this even more interesting: Absolutely “MUST WATCH” This is about the 5th Colomn who march behind Hitler’s NAZI Germany and who are behind the AGW scam, Agenda 21, Agenda 30, you name it. They were behind the Global Cooling Scam and they have now embedded themselves in all vanes of our society and our Intelligence System. The video also explains why they are sucking up all our data. This must be defeated, rooted out and done with at any price because they are the enemy of humanity, free economy and capitalism. @sabretoothed – Nice find. That soft tissue kerfluffle was interesting. I’m not certain from the article that the soft tissue was not in dispute, just his views of a young Earth. Relative to all the fossilized dino bones that exist, discovered and undiscovered, I don’t think there have been enough dino bones found and examined to say that 65 million year old soft tissue is not possible. If it’s “not possible because it has never been seen before” then maybe we haven’t looked at enough bones. And what about those fresh-frozen woolly mammoth-cicles that are 10,000 years old or so? I thought biblical scholars’ age for the young Earth was about 6,000 to 8,000 years. How does that work? I don’t see how an old Earth negates anyone’s faith in God. If God is eternal and not bound by time, what’s 3 or 4 or billion vs 6,000 years going to matter? We’re the short-timers here. It’s none of our concern how the long-timers run things. @Sabretooth & HR: Science is religion. The guy is a convinced Creationist who claimed to have found a “Young Dinosaur”. That’s the equivalent of finding a Virgin in an elderly home for retired hookers. No wonder he was fired. That the Creationist drew money from the following religious discrimination law suit doesn’t wonder me either. He’s a Creationist for God’s sake and this was a free kick for an open goal. I wonder why they hired the guy in the first place. Believing in creation does not preclude someone from running a microscope lab well, nor from publishing peer reviewed papers about soft tissue in fossils. He was competent in the scope of his employment. To NOT hire him or to fire him for his belief in creation is a direct violation of his First Amendment rights. Now were he standing on a corner of one of the University streets or on the steps of one of the buildings shouting “Repent! God Created The Earth 6000 years ago!” or “Evolution is propaganda against God!”, then you have grounds for termination. I can’t say if life evolved on this planet or arrived from a different one. Life shows up way too early in the planet history to be from the simple chemical evolution process. So what was the “kickstarter”? Panspermia? (bacteria from space). A “Space Alien” species seeding life on planets? (And if that is the case, isn’t that conformant with the anecdotal historical descriptions of “god”?) Evolution on Mars or some other planet earlier than Earth, then impact delivery to Earth after it cooled enough? Bacteria living inside some space rocks / not panspermia but narrow-spermia from some other planet / moon? So given that there are a large number of shortfalls in the Standard Theory, isn’t it quite reasonable to explore possible alternatives? Can not one of them be a Superior Being? FWIW, the Sumerian records claim (and names names…) that we were a created life form made by Space Aliens. I can’t prove that wrong. In that era, the “Gods” were essentially highly superior beings, but not necessarily what we’d call supernatural beings. So in the case that there were Space Aliens creating us, and they were at the time vastly superior technically, would that not be Creation by (a) God? I think that somewhat makes the point that Creation could account for humans existing, so firing people for thinking that is wrong. While I find it incredible to claim life and the planet were all created just 6000 years ago; it is also the case that once you postulate an omnipotent being, then they could simply create a planet that looks old in every measurable way. Logic will not get you out of that box. In that case, finding “Young Dinosaurs” would be finding a “bug” in God’s creation of ages. But since we can’t resolve which of those two is accurate, it becomes a matter of preference to choose one. To then punish others for a different preference is evil. To assert one of the preferences is absolutely correct and punish holders of the other opinion is irrational and to oppress evidence or explanatory discoveries about the one you do not like is self-dealing abuse. FWIW: What I choose to believe is that we have a 4.5 Billion year old earth in a solar system somewhat older (or our formative planetary impact could not happen). Live arrived early from some sort of panspermia-like event (though hard to choose between possible sources) and evolved in The Standard Way from that point. As to the Sumerian story: I don’t know. There’s decent evidence both ways. So, ought I be fired from managing computers for that? About that 6000 year thing, well , it would be better to say 8000 today, in my opinion; plus the 6000BC thing came from the work of a man, so don’t hold God to that. God is the being who must exist by logical necessity, I say; and that there is no sound axiom that says that any other being must exist by logical necessity. Once God makes mutable material actual, then the existence of ‘space aliens’ is certainly possible, given our own existence; but not mandatory. That said, the story is that The God created us directly by forming our body and indirectly through his direct creation of the ‘dust’ that our physical bodies are made of. No intermediary ‘space alien’ is required. Plus it very well may be true that we are alone because we are first and only because that’s what The God saw as good, necessary and proper. True enough, a technologically advanced space alien would appear to humans who didn’t know better to be god(s), or maybe better said angels. In the case of non-material angels, the story is that The God created them, too, before he created the physical earth. That does not mean that when The God created angels, He did not have us in mind when He made them. We should also remember that biology started life as a physical shape and behaviors classification system, agnostic about many details of the substance that allows for the shape and the behaviors. As stated, we do not know how old the physical planet is. It doesn’t matter that much about the age estimate so long as it is old enough to have a solid crust 10 to 20 miles thick, regardless of how it was formed. *That* it was formed is sufficient. About the 4.5 billion year thing … well, that’s an estimate and it used to have error bounds attached to it, because that number comes from a formation model and an age model. The age model is derived from radioactive decay products and assumptions about mineral stability where we have some idea about current conditions but not enough about past conditions to be fully certain that those ratios can’t nor don’t change over time. [This is where I consider supercritical water, which we know exists under the required conditions and that much of what you know about various chemical solubility data for water may not hold in supercritical water. Given that we do know that supercritical carbon dioxide shows different solubility values compared to liquid carbon dioxide; why would water be different?] So let us speculate about age and formation models. Given that the logistic function can be fit to pretty much every chemical system process(es) that I know of; and that the logistic function is the sum of at least two exponential functions, where one is the starting materials and the other is the resulting materials, so maybe the physical universe isn’t as old as the linear extrapolation from the far right tail suggests? Also, for me, fossils suggest catastrophic disruption of the biological system and thus would have lots of things missing from its record; and that’s granting that we know enough about how that happened chemically. “Smart Pakem,” was launched in Indonesia last month, at the request of the government, as a method to preserve and uphold sharia law. It allows friends and neighbors to “target” any people with “misguided” beliefs and those who violate the religious law. IMO, we are witnessing an open “clash of Civilzations”. What does Christophe Guilluy say? Something that’s pretty simple: Our societies are splitting into three groups that do not have much to do with each other. The first group that is inside major cities, Paris. They are the winners of globalization, the so-called “boos” that are in finance, the media, the government. These exclude others through a real estate price absolutely untouchable for everyone except for them. They build a world where there is only their class, all the others are excluded. We can say what we want of the nineteenth century, but in the nineteenth century the bourgeois lived in the same neighborhood as the workers and they saw each other, while there, there is more physical contact between the bobos and others. Around the bobos, in a kind of concentric circle that is about twenty kilometers thick, you have their servants who are the immigrant workers. You find them in restaurants, as Uber drivers, as taxi drivers, as babysitters, and so on. And that’s where all the subsidies distributed by the boos that control the budget go. This is where we do huge work for public transport, somehow to bring the servants of the bobos, the bobos more easily. There are absolutely huge expenditures and if these people are extraordinarily subsidized, they have not always contributed to these subsidies, they are net subsidies for people who have not paid anything for that. If you go beyond this border of 20 or 30 km, you have the deep country where live about 50% of the French. And it’s been 20 years that we let them die. That’s where the schools close, that’s where the hospitals close, that’s where there’s no public transportation, and so on. And so those people who are forced to work, take their car. As second group subsidies become very important, taxes need to be increased. But taxes will not increase on the boos since they are the ones who control the political power. Taxes will therefore increase on the third group, the one who receives nothing. And the fastest way to raise taxes is always to tax energy. And we come to tell calembredaines that it is to prevent the atmospheric warming which is not their problem, because their problem is that their fridge is empty. So you have made this class of people in France – who are hardworking people, etc. – enraged. Because if someone earns 1400 € in this area, he still has 100 € per month if all goes well, to do things that amuse him, the rest is mandatory expenses: taxes, repayment of loans The children’s school … If he has 100 € left and the energy is increased, as they have just done, there is nothing left. So for the men, it’s annoying: they can not go to the rugby match. But for women who use their cars to do charitable work – to see their grandmother who has Alzheimer’s disease – to look after children, etc. That’s why you have women on the barricades: somewhere, these increases kill private charity, that is to say, family mutual help, which is the only way these groups maintain themselves. If you can not take care of your grandchildren because you do not have access to the car, you become enraged. So this government has reached a level of deafness, autism, which has rarely existed in the history of France. It is quite extraordinary to think that you are so superior as a central booby, while accumulating signs of contempt for those people in the 3rd zone who are all idiots according to them. Well no ! that’s not true, they are hardworking people. 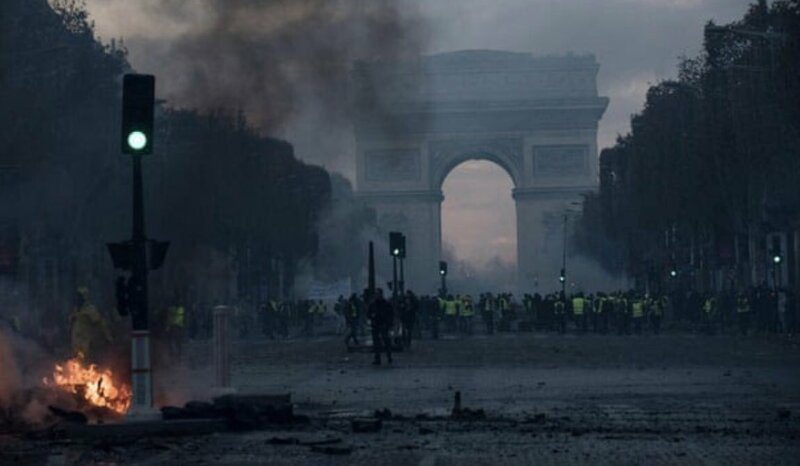 What is curious is that this is the first revolt in the history of France – since 1789 – which is not a revolt of the left. It’s a right-wing revolt, hardworking people who get up early in the morning, who are fed up and want to know where their money is going. Why do we take all this money from them because they are not given anything in exchange? Aleksandr Gelyevich Dugin ‘s analysis. Clinton Foundation owes $400,000,000 IRS ignores it? viz the S.S. EU ? The English version of the Story. Was French Attack done by Macron? Whatever penalty JPM gets will be covered primarily by their liability insurance. This is more like a traffic ticket for a company of their scale. @sabertoothed: Must be young guys who never heard of the Hunt brothers. The Hunt Brothers Silver cornering effort in the early 1980’s is why I don’t trust precious metal markets. If you have big enough pockets you can push the price up and down at will. I especially get nervous about precious metals when every late night TV show has a “buy gold now” pitch every 3rd commercial. I’m aware the Fed has been raising interest rates rather aggressively. I feel the current market meltdown is irrational. OTOH, it is always possible the LICs (liberals in charge) have chosen to tank the markets in order to prevent Trump claiming victory. It can take a year+ for changes of Fed Policy to manifest in the real world. They must be doing NOW what is needed in January 2020… This is somewhere between very hard and impossible. Since Trump has fixed a lot of that “crap”, the economy is doing quite well. So naturally The Fed sees their duty as putting a foot on the neck of economic success. Especially doing a exponential prediction of increasing “hotness” of the economy out to 2020. The Problem, of course, is that We The People have only just now begun to feel like we’re at “nearly normal”. Not much inflation, jobs available (at last…), times relatively good. BUT, the real question is: What will it be like in Jan. 2020? Since nobody really knows, it becomes an exercise in “what do you want it to be given your dreams?”. Is The Fed trying to tank the economy in time for Nov. 2020? FWIW, my belief is that they THINK they are doing “normalize” now that Federal policies are sane and pro-growth; but are also adding 20% or so of “Salt” for the 2020 election… In other words: Were I running The Fed I would have raised to 2% and announced rates on hold. 2% is the target inflation rate and I don’t see justification for going above that just yet. For interest, a logical and experimental proof that an effective perpetual motion is possible. We just need to get the practical output up to something that’s actually useful…. Happy Christmas everyone! Here’s an article that is just so wrong. It’s about Dollar Tree and Dollar General stores. It appears to be written by someone with an SJW bias, who is economically clueless, who relies on expert research, which seemed to be lacking any sense of cause and effect or contrary evidence, and it wouldn’t surprise me to find that the author just made up some of the stuff. The demographics are poorly analyzed to arrive at a foregone conclusion. I and my neighbors shop Dollar Tree. They have things priced at $1.00 – exact same items – that are sold elsewhere for 2 or 3 or 5 times as much. They also have downsized versions of national brand products so they can price them at $1.00. We all have good incomes. We’re just sensible about not paying 3 times more for an item when it’s available for $1.00. To make one point, the author compares Dollar Tree to Whole Foods, fer cryin’ out loud! How can an article which is supposed to be informative contain so much misinformation, stereotypes, and logical fails? I would be hard put to write something this wrong if I set out to intentionally do so. That’s an interesting example of a crazy biased article. Whole Foods caters to the college educated with too much money willing to pay crazy prices for strange stuff folks. ( I shop there sometimes ;-) Then they “diss” Dollar Stores for “offers little in terms of fresh produce and nutritious items” which is just crazy. (I shop there some times too). Their market segment is NOT the Whole Foods Organic Strawberries in January kind of store. They sell more canned goods. But there isn’t anything lacking in nutrition about canned goods. Just you can’t live on kale alone, you can’t live on canned Lima beans alone either. But that doesn’t make kale a non-nutritious item. Similarly the existence of a discount store with “deals” does not mean other stores can not exist too. The local Dollar Store is about 200 yards from a grocery store and about 1/4 mile from a High End Italian Grocer (with $17 / lb fish and $15 / pound steaks and where I buy hand made sushi once a week ;-) I shop at ALL of them. One does not reduce the other. Then the notion that a Dollar Store indicates a lower income area, just daft. This is Fru-Fru Silicon Valley we’re talking about and we’ve got ’em. Just amazing that got published. It’s such crap. I, on the other hand, am not amazed. It fits the narrative the GEBs like to, or want to, hear. What would amaze me, today, is a paper published that didn’t toe the ‘Jim Crow’, er ‘SJW’ party line. A million thanks for that article. Overloaded language gets us too often. In computer programming, the machine is literal. In human interaction, the machine isn’t literal. I realize that people too often slough off semantics, yet a lesson from debate class (where a formal introduction to semantic predicate logic took place, sans symbols) still holds. Semantics, that is, actual meaning to be transmitted, is key. People must be clear about what you mean when you say it and not include things not said, as if you said it. CDQ – thanks, since that’s the best Christmas present so far. The explanation is finally clear enough that it has been understood. It’s also an insight that it’s likely the years of programming computers, and then going back to the words used in thermodynamics and finding them imprecise, may be the reason I saw this in the first place. I never had that formal introduction to logic, but of course if you get the logic wrong or make a typo, the program doesn’t do what you expect. Having a pretty formal proof, and some principles to work on, also makes the job of making a practical version of recycling heat somewhat easier. Maybe someone else will have a better design than I’ve thought of, too. Once you know something is actually possible, it is worth working on. I was also going to heap some praise for the article, Simon, but CDQ beat me to it! I don’t know why, but the notion that a column of air would become all the same temperature just seems wrong to me… As an atom at the bottom zooms up, it loses KE and gains PE, so is colder when it gets there. As an atom at the top zooms down it gains KE and loses PE, so is hotter when it gets there. Just seems to me that on first principles it ought to be hotter at the bottom and colder at the top! EM – the temperature drop of air with height is well-known, but for some reason it’s assumed to be non-existent in thermodynamics because if you put that in then it it both trashes 2LoT and enables an effective perpetual motion system, and since both of those are considered impossible then there must be *some other reason* for them to remain impossible. Abd thought there must be an effect with thermocouples (i.e. also affected by gravity) that would stop us harvesting this temperature difference, so I calculated what that would be and it turns out around 6 orders of magnitude down in itself per metre of height, but in any case we have a loop for the current so even that effect won’t actually happen. Graeff stopped convection currents in the air, and thus got a much higher lapse rate (by an order of magnitude) than is normally measured. The “normal” measured lapse rate of around 9°C/km is thus actually a non-equilibrium state, not because of the lava-lamp effect you’re talking about but simply because the air isn’t still so turbulence mixes it all up. On first principles, a material (solid or fluid) that is not electrically conductive will be hotter at the bottom than the top, as there is more PE at the top and the total energy per molecule/atom remains constant. An electrically-conductive material has the heat shared a lot more equally since electrons carry the heat around and aren’t much affected by gravity. Still, gravity is a very weak field and so though we can use it to absolutely prove that energy can be recycled, it’s not going to produce a lot of power. Electric and magnetic fields are way stronger, so we should be able to get useful amounts of power by utilising them instead. I’ve been battering at this concept for quite a few years now, but since I was also fighting against my definitions of the words (CDQ’s semantics problem) it’s been a slow job to find that underlying principle and an absolute and undeniable proof that demonstrates that our axioms are actually wrong. Also means that TANSTAAFL is wrong, too – we can get a free lunch here. Now all I’ve got to do is to apply the principles and get something working…. There is this catch, about our atmosphere, too. The dry air lapse rate is -9C/km. The moist one (fully saturated with water) is -6.5C/km. Actual air varies between the two, all the time, and can locally change quite rapidly from biased random walks of the constituent atoms and molecules that we call wind (advection = horizontal, convention = vertical). The effect of non-condensing IR active gases would be to move the ‘dry’ rate toward the ‘moist’ one. I can’t see how an atmosphere with IR active agents can go past the dominant one (here, that’s dihydrogen monoxide, aka water; on Mars or Venus, that’s carbon dioxide). The lapse rate is due to gravity, yet may not be wholly due to gravity. Changing the lapse rate in the atmosphere, which is set by the ground and the atmosphere’s constituents and energy flows, does not necessarily mean that the ground’s internal KE must increase. It can, but can != must. That the 2nd LoT can be violated shouldn’t be seen as impossible categorically. Science deals with observations about a mutable system by mutable beings within said system. Change the conditions, change the result. Labs are extremely constrained systems. Extrapolation from that is fraught with danger. The 2nd LoT was developed by people working in labs, with limited technology. Just like Newtonian gravity works well enough for the experienced conditions on planet Earth, so does the 2nd LoT. Well, about TANSTAAFL, well, Heinlein was writing about people, so I suspect that as long as human nature is what it is and that humans can’t change it by their own will and power; I suspect it will hold as long as that’s the case. Ouch, one other thing that gets people about gases. They are fully miscible. They will ‘mix’ themselves fully. Why? Even ‘cold’ as long as we’re far enough above absolute zero (no internal KE) gas constituents move fast. At surface Earth conditions, that’s about 1km/sec, in 3 dimensions, at all times we can detect. The volume occupied greatly exceeds the volume occupied by the constituent atoms and molecules. So ‘heavier than air’ gets some things wrong. “Heavy” gases move slower while containing the same amount of KE (average and range about the average) that “light” gases do. Conflating some gas properties with those of condensed forms will bite you if you don’t keep the distinction in mind when conditions require that you be mindful of them. The conclusion is unavoidable that the lapse rate is due to gravity if you look at the gases as simply very small moons in orbit around the earth. Look at the theoretical case of a planet in a perfect vacuum with three molecules in orbit around the planet. One at a low circular orbit, one at a high circular orbit and one with a elliptical orbit which has perigee at the same altitude as the low circular orbit and Apogee at the same altitude as the upper circular orbit such that they never collide with each other. As an atom / molecule gains altitude you are simply increasing the eccentricity of the orbit it would follow if it was collision free. Orbital mechanics shows that it is unavoidable that as the particle gains altitude above the body it orbits, it loses kinetic energy of motion and gains gravitational potential energy. Energy is conserved it just changes form. As the particle descends toward perigee it gains energy of motion in exchange for a reduction in gravitational potential energy. If you worked out the orbital velocity of two atom/molecules in circular orbit unaffected by collisions with different heights above the planet those velocities should define the true lapse rate absent mixing and collisions or radiation transfer as a limiting case. I can see no other conclusion that there must be a lapse rate in a gaseous atmosphere in a gravitational field around a planet. That lapse rate must equal the difference in orbital energy required to maintain various orbital altitudes above the planet. You of course can change energy by radiation absorption but that will primarily effect energy of vibration and rotation not the mean velocity of motion (ie temperature) of the gas atoms/molecules. Anyone know the relationship between particle velocity and sensible temperature scales? That is all you would need to calculate that orbital altitude kinetic energy value for the true lapse rate due to gravity. Hmmm looks like this little calculator could be used to figure out the effective temperature at a given molecular velocity (of orbit). Looks like the gravitational orbital velocity lapse rate should be considerably higher than the measured lapse rate. I would suspect as Graeff noted that the difference could be explained by other effects like mixing and transition of energy from lateral motion to rotation and vibration of the molecules due to trillions of collisions and radiant energy transfer. Accounting for all the degrees of freedom the atoms/molecules have to share energy. So in essence we know air will be hotter with density around a planet and we also know that only things like convection, mixing, etc.etc. are keeping us cooler. Geee… doesn’t that mean the radiative warming model ‘has issues’ since we are already “cooler than theoretical”? Hmmm…..
Larry – maybe an easier way to approximate the lapse rate. Kinetic energy for a monatomic gas is 1.5kT, though given most molecules will be diatomic then providing the vibrational degree of freedom is a low enough energy level to be excited then we’d see around 2kT as the kinetic energy at ground level. k is Boltzmann’s constant, T is absolute temperature. Meantime, though the gravitational acceleration drops with height, for the odd km or so we can approximate the potential energy as simply mgh, where m is the molecular mass, g is the gravitational acceleration of around 9.8m/s², and h is the height in metres. The temperature drop is thus simply raising the PE from the increase in height at the expense of the KE at ground level. Thus Tdrop = mgh/2k approximately. (28.8)(1.66e-27)(9.8)(1000)/(2)(1.38e-23)= 16.97K drop per kilometre. OK, call it 17K/km. For a monatomic gas this would rise to around 22.6K/km if that gas was atomic weight 28.8, and rises with the atomic weight as well. Play around with the figures to get other answers. This won’t be linear, since gravity drops off with height, and I didn’t check on the actual degrees of freedom either. IIRC the ratio of the specific heats at constant pressure and constant volume will tell me that. The number of DoFs (degrees of freedom) will change with absolute temperature, too. Still, it’s nice having a simple equation to give a ballpark figure. Water vapour has more degrees of freedom. As such, at the same temperature it holds more energy in the KE and thus the drop in KE won’t be such a high proportion of the total energy. The lapse rate will thus be lower for moist air. Exchange of energy between degrees of freedom seems pretty quick, and they are always exchanging energy until the rate of giving out energy from one degree of freedom equals what it’s getting from the others. I haven’t seen where anyone has measured that rate of exchange, though – it’s logically mediated by the collisions so with a collision rate of around 7GHz at NTP in air it’s going to be of the order of nanoseconds. EM – this might explain why we actually get thermals, and the rising or falling air vortices. “Low pressure” for a weather forecaster says that the air is rising there, but there doesn’t really seem to be anything warm to provide that lift a lot of the time since that normally means it’s clouding over and the sun isn’t warming the ground. That paradox always bothered me too. Likewise, the “high pressure” areas are where air is coming down, and they are bright and sunny mostly so the land is getting warmed. Could be that the difference between the calculated lapse rate and the measured one means that the air masses won’t be in equilibrium and thus being driven by heat-sources (gravitation-caused heating) that climate models don’t even know about. No idea if this is actually true, but the idea of air movements to try to restore equilibrium is far more satisfying. I think Thiamine is a major driver of diseases there must be genetic weaknesses some have and some may need more? One thing I should point out is that we’ve just been talking about gravitational effects on the temperature. As a mass of air goes up, the pressure goes down and so the gas will cool from that as well. As a mass of air goes up, the pressure goes down and so the gas will cool from that as well. T2 = T1 (P2/P1)^(1.4 -1 / 1.4) = T1(P2/P1)^(0.2857) for dry air. I’ll see if WP allows a table to be entered. This is the International Civil Aviation Organisation table, and the book it’s in was published in 1986. I doubt if a lot has really changed since then though. More entries if needed, but I can’t use tabs to get it nicely aligned anyway. T2 = 288.15(89876.2/101325)^(0.2857) = 278.45 which is a lapse rate of 9.7K from the pressure drop alone. The actual lapse rate is a lot less than the calculated one when we also add in the gravitational reduction in temperature (17K), which would give a drop of 26.7K total over that first km in height if the system was in full thermodynamic equilibrium. Around 20K of that is swallowed by the mixing of air, and that certainly seems to be enough energy to cause a few vortices from instability of the system. I’d never thought of the standard lapse rate as being so far out of equilibrium before – one of those things you don’t consider until the maths is done. What do you mean by equilibrium Kemosabe ;p ? The standard chemical one where there is no net change in the forms of chemical constituents? That’s just one kind of ‘steady state’, so to speak. The one where there is no motion whatsoever? The one where there is no net energy transfer? Why would the actual atmosphere ever be in equilibrium, other than height above the ground corresponding to all of the chemical processes going on within it, with the ground, and the gravitational field associated with the mass of the planet (which includes its atmosphere, let us recall)? CDQ – here I’m only talking about a thermodynamic equilibrium. That’s where the movements of energy are equal and opposite in all directions, so the net situation remains stable even though there’s just as much movement as a non-equilibrium situation. No net energy transfer. We know that in a non-equilibrium situation the system will move towards an equilibrium – at least that’s what we see in all situations I know about. Potential energy tends towards a local minimum, and is changed to kinetic energy in the process. What we see in the atmosphere is quite a way from equilibrium, so we’d expect there to be movements towards the ~-27K per km in height. With rising height, the air has more energy than the equilibrium situation, so there’s going to be a tendency to correct that. It may take a while to grok what that actually means, though, since I haven’t a lot of background when it comes to atmospheric mechanics. On the other hand, someone here may realise what the effects of that non-equilibrium situation will be. One thing that strikes me, though, is that when we have air coming down then it will be warmer than we’d expect from the known lapse-rate, and that rising air will be colder. You can use the <pre> and </pre> preformatted table markers to make a table. Your Thiamine post may be of help with some funky health problems my elderly uncle has been displaying. It is interesting to note that the 26.7K total over that first km in height calculated is very close to 4x the measured thermal lapse rate. That implies that the energy is equally distributed in 4 different forms of potential energy. A unit of energy equal to the work done on a piston by a fluid at a pressure of 1 standard atmosphere (101,325 pascals) when the piston sweeps out a volume of 1 liter; equal to 101.325 joules. Sure makes a tempting kind of sense. You have 4 “modes” where the energy can go and nothing to prevent “flow”. It sure looks like it ought to flow evenly between them… at first muse. Larry – normally if there’s a way for PE to change to KE, it will happen until the PE is at a local minimum, so any changes from that minimum would increase PE at the expense of KE. Molecular rotation and vibration are both KE (degrees of freedom) with rotations always available for anything above monatomic (how can you see if an atom is rotating, and how would you grab it to make it rotate too?) and vibrations often having a certain minimum quantum of energy before it will happen. IIRC water vapour has a total of 9 DoFs available, 3 of which only start coming in above a threshold temperature, so the amount of kinetic energy that can be stored in a molecule goes up the hotter it gets until it reaches that plateau of 9 DoFs and then is constant. As such, it looks to me that the measured lapse rate isn’t because energy is going into some store of PE that the measured temperature can’t see, but that instead it’s the mixing and little vortices we find in non-still air that smear out the temperature gradient. If a packet of air goes downwards, it will be slightly warmer than the air it then mixes with, giving a larger packet of air that then will tend to rise again since it’s a bit less dense than the surrounding air. It thus looks like there will be constant air-movements somewhat similar to EM’s idea of the lava lamp, as the temperature (average KE) tends towards being equal and the potential gradient works against that. Where there’s a measurable upwards or downwards wind, though, the temperature of the air that moves will be more out of thermal equilibrium with the air around it the more the height changes. This could be part of the puzzle of clouds, in that there’s more of a temperature drop when air rises than we calculate from the adiabatic pressure drop. Tdrop = mgh/(2.5)k approximately, and the gravitational temperature drop is not around 17K but instead around 13.5K (for 1km height rise). Sorry I got that wrong. Still a 9.7K drop per km from the pressure drop, so around 23.2K total drop per km for still dry air (not 27K). Still getting on 4 times the measured lapse rate, though. The main thing I’ve noted from this is that when we measure temperature it’s only the translational kinetic energy that we see, and we don’t see the vibrational and rotational modes or any other degrees of freedom such as spin-waves. We also can’t see any potential energy. It remains though that we can extract power from a measured temperature difference, and thus that if we mess around with the other energy stores we can manipulate the measured temperatures and produce such a temperature difference to extract energy from. Here, we’ve just used gravity to change kinetic energy into gravitational potential energy, which gives us a small but measurable temperature difference, but other fields are far stronger and can give us a much larger temperature change. A catch, Simon, with regard to water. Water has a fascinating chemistry. Only the overall chemistry of the element carbon, is to me, more fascinating. Do not forget hydrogen bonding, and also that water hydrogen bonding happens with water hydrogen bonding to other molecules besides itself. Water vapor is not solely monomers via hydrogen bonding! Water in the atmosphere is present from monomers to visible liquid and/or solid suspended drops. Ever seen a hazy, yet not cloudy day? Part of that is suspended dust and soot (human and plant derived) which will have adsorbed water on it, and suspended ‘colloidal’ aggregations of water that are smaller than human naked eye resolution (100 micron). Strictly speaking, then, should we consider water aggregations gas (vapor to a degree) or liquid (condensed); and if so, how many water molecules in the aggregation is the cutoff (3?, more?)? One should not forget that real gases do not follow the ideal gas law. That’s an abstracted limit law under a defined set of conditions. Real gases, especially condensing gases (called vapors) will bite you when the actual conditions don’t fit the ideal gas law conditions. Do the model-makers use the Van der-Waal’s and/or other corrections to the Ideal Gas Law in their models, when they should? Likewise, do they do that with Henry’s Law. Strictly speaking, that’s for the dissolution/ex-solution reaction only. Any other chemistry in the system requires modifying the relation to take these additional conditions into account. Oh, thanks for that link. CDQ – thanks, that’s a timely reminder. We could probably spend a lifetime learning the intricacies of what water does. Those aggregations of water molecules will have more degrees of freedom, and thus a higher (and somewhat variable) heat capacity. The better solutions to achieving a real perpetual motion system (may as well call it what it is) are easier to make using electronics, though, so luckily I don’t expect to need to go into the problems of water, even though the simpler systems do in fact rely on water to work. For climate science, I’d expect the models to use experimental curves that have the various corrections built-in, but I doubt if they actually do. Could be quicker than calculating it, if you have look-up tables and interpolation. May need a multi-dimensional look-up table in order to allow for water vapour content as well as temperature, pressure, and other gases such as CO2. Not that I expect CO2 to have any large effect anyway in real terms, though increased CO2 means less moisture transpired from leaves and thus lower water removal from green areas. That would only affect the packets of air at ground-level, though – above that the water-vapour would simply be passed around in the air. A little aside here. CO2 sublimes at normal atmospheric pressure at -78.5°C. I’ve noticed recently that some of the low-temperature “records” have gotten pretty close to that. Maybe the ice-cores from ancient times in an Ice Age show high levels of CO2 (around 6000ppm IIRC) because the CO2 was actually close to condensing at the time? Just something that struck me as maybe worth some thought.Though CO2 is not normally regarded as a condensing gas, it may happen. A friend pointed me at http://renewable.50webs.com/Crazy-New-Climate-Discovery.html which is a new climate theory that applies across the rocky solar system planet (not the gas giants). The idea is that the global temperature depends on the solar input and the atmospheric pressure, and that’s it. No difference whether the atmosphere is N2, O2/N2, or CO2. I think they may have missed a bit by ignoring water vapour (condensing gas and so the clouds change the albedo) but they say they get to within 1°C as it stands. The link has onward links to the papers themselves, and I only just started reading them. Could be they’ve got the majority right, anyway. This will annoy mainstream climate science…. Yes Dr. Karl Zeller and Dr. Ned Nikolov were being discussed on WUWT a few years ago and their papers are the root origin of much of the discussion about a gravity well gradient driven lapse rate, since the atmospheric pressure is actually driven by the local gravity and mass of the atmosphere (which by implication defines the depth of the atmosphere). There was much discussion about it and several folks refused to discuss it intelligently going off on tangents about it being a perpetual motion engine – one of the reasons I no longer spend any time over there, as they have developed the same sort of approved PC topics as the climate change folks, and if you step out of those bounds they go nuts to shut the discussion down. Their logic is the basis behind my observations about orbital mechanics and potential energy stated above. Just a different way of stating the same concepts in an easily grasped mental model. It is in my mind unavoidable and perfectly reasonable that the atmospheres thermal gradient (lapse rate) should mirror the gravitational gradient as you move away from the planet. The combined effects of gravity and mass also produce a pressure gradient. I find the thought that those 3 gradients should be some how independent of each other unacceptable. They most have some physical connection and at first principles should all trace back to the same physics and forces. Larry – since I’ve just been pointing out that a gas in a gravity well is a perpetual motion machine, the complaints from WUWT seem a bit based in belief rather than data. I’ve read their paper now, but haven’t done any sanity checks on the maths – I expect they’ve done the calculations well, anyway. It’s interesting that the function they give is actually fitted and not from first principles, and I suspect that if they included the gravitational component into the lapse rate and then the mixing, they might be able to explain the fudge factors. It’s always bothered me that Venus is so much hotter than Earth, based on the standard explanations. I couldn’t see how it kept so hot, given the fourth power relationship for radiation. With this explanation, the fit is good and the explanation feels better. I’ll probably put this up at R-G as well and get some nice splody heads as people try to dismiss it. Turns out that the CO2 will warm the planet after all, since it makes the atmosphere that bit more dense and a bit more mass. Also means that volcanic emissions will have some warming effect after the reflective dust comes down, since again there’ll be more mass of atmosphere. Getting the fine-tuning of the model, and seeing why the cloud-cover varies (and thus albedo) would help, too. The theory looks basically correct, though. SD – a gas in a gravity well is a perpetual motion machine, but if you extract work from it, it won’t last long. Only if you store that energy in something such as a battery or in lifting a weight and leaving it lifted. If you do other work with it, then that will produce heat that warms the atmosphere again. Any energy store is going to get used at some point, and also return that energy as heat to the environment. That heat energy will re-enter the column of air, and come out as usable power. It’s a cycle. That’s really the start-point of the logic. Conservation of energy says you have the same amount of (scalar) energy after some work is done, but practically we can’t re-use that energy because the momentum vectors of that energy are randomised. Work is a vector quantity – it’s force times distance, but that distance must have a direction too. Random-direction energy can’t move anything in one direction, except when you get down to Brownian motion. However, work is normally seen as a scalar quantity. Once you start seeing it as a vector, and that because heat is particles moving around then each particle’s heat is also a vector quantity, but because we are looking at a lot of random momentum vectors those vectors sum to zero over time it can’t on average move anything, then we only need a process to align those momentum vectors in order to make that energy usable again. We can do that with fields, or with diodes, as a direct conversion of heat back to usable energy, or we can use the standard method of a heat engine to change a proportion of the heat energy to having their momentum vectors aligned. The solution to perpetual motion system is thus really semantic, in that we normally define both work and heat as scalar quantities. We need to see work as a vector, and heat as a vector. Kinetic energy is a scalar quantity of energy with a momentum vector, and the two quantities must be separately handled. De-randomising the momentum vectors requires only a momentum exchange. Above we’ve shown that gravity does that, and that we can make such a perpetual motion system using gravity and a column of air. We won’t get a lot of power out, and it’s going to cost far more than it’s worth, but the salient point is that it’s obvious it will work and that there is experimental evidence that it works. It’s not impossible after all. To get something more useful, and hopefully producing power cheaper than burning some sort of fuel, we need to apply that principle of realignment of momentum vectors of the heat energy using a stronger field such as an electric field, which is many orders of magnitude more effective. The principle is thus ridiculously easy, and I think the reason we haven’t seen it before is simply that we’ve got the word definitions a bit wrong. Practically, of course, it’s a bit more difficult, and really needs the facilities of a chip fab to achieve the feature dimensions and purity needed for a good device. Also really needs someone with a lot deeper knowledge than I currently have to design the right electronic structure. I think I’ll achieve that at some point, but there’s a chance that if enough people see the theoretical possibility then someone who has the facilities may decide to try as well, and may get a better design than I can. I have not thought much about this actual fact of Earth’s atmosphere. Its mass is *not* constant, though for most practical applications we can consider it as constant. Evaporating water adds to the mass and to the gaseous mass. Suspending aerosols of any other kind add to the mass, yet not to the gaseous mass. Volcanic eruptions add to the mass, too; as well as Earth’s perpetually in motion orbit that still captures things moving through the solar system’s space near enough to it. A question then becomes: “Under currently known conditions, is this mass change large enough to be measurable and sufficient to have a measurable effect, particularly for weather?”, with other questions following from that one. There are processes that remove mass from the atmosphere, too. Collisions by the stream of particles with the atmosphere boost some past escape velocity, with the already faster moving ones easiest to get there (thus, Earth is slowly losing hydrogen and helium, mostly; but does lose extremely small, but not zero, amounts of the other chemical elements, too). Then there is chemical weathering. Water scrubs carbon dioxide out of the gas phase rather easily, add calcium and you get calcium carbonate in the water. Get enough calcium in the water, the carbonate precipitates out; provided there are no other conditions present that prevent this. Now add chemically mediated biological life. CDQ – in order to change the temperature by 1°C from the standard 15°C, that’s actually an 0.35% difference in kinetic energy. Over the last century, the CO2 level in the air has changed by maybe 0.01% (0.03% to 0.04%), but I haven’t gone through the calculations yet to see exactly what difference that would make to average pressure at ground level. Moist air is less dense, but evaporated moisture will add to the total atmospheric mass, and so will show an increased pressure at ground level. Pressure changes take a while to propagate, too, as winds don’t normally reach high speeds. It’s probably going to take quite a while to produce an answer to your question, though the gut feeling is that there will be enough to measure given that climatologists tell us temperatures to 0.1°C (and to 0.01°C as well). Suspended aerosols are supported by the air they are in, so their mass will add to the total mass of the atmosphere and thus the pressure at ground level. If they are transparent then they won’t change the albedo, but if not then they will probably change the albedo somewhat – could be warmer or cooler because of them, depending on what they are. It seems Mars has had its atmosphere pretty-well stripped by the Solar Wind. Maybe it’s going to take longer for the Earth because of the higher gravitational field, but it seems likely that, in time, that will happen to us. Not in our lifetimes, though…. Maybe as long as we keep getting CO2 recycled from the Carbonates that are subducted by tectonic movements and we have green plants to turn that CO2 into Oxygen, we’ll be generally OK. By the time it gets a bit difficult here, I expect we’ll have found other planets we can use instead. Maybe the big thing to take away from those papers is that there’s no “tipping point” that can take us to Venusian-type overheating. Also that there’s no downside to emitting more CO2 because it makes very little difference to the actual temperature of the Earth, and the upside is that plants grow better. There’s way too much to learn for one person to know it all to any depth, and of course some of what we “know” is wrong as well, so sharing what we think we know that’s relevant is definitely a good thing. Wrong ideas should get exposed that way. It was my 2nd language (after FORTRAN IV) and seeing as it is still remarkably “modern”…. Fortran IV (i think it was IV) was my very first language also. Loved standing in line to feed in my cards in anticipation of what torture awaits! An interesting little piece wondering how much of the internet is fake (lots …). It makes the installation of a well-set-up PiHole sound even more of a good idea. To be more precise, fortran 4 was the first programming language I learned. But I never used it after the course. I picked up Applesoft at home. But actually used Visual Basic and later QuickBasic at work to do useful things.